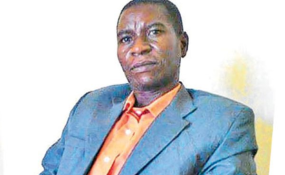 What Happened to Missing Tanzanian Reporter Gwanda? Missing Mwananchi Communications Limited freelancer Azory Gwanda. Today is the 28th day since Mwananchi Communications Limited (MCL) freelancer Azory Gwanda disappeared in mysterious circumstances. Amid mounting pressure on the authorities to scale up the search and speed up the investigation, there is no tangible piece of official information yet to suggest where he could be. It's still a desperate wait, and the key questions on the disappearance of the journalist who reported on a string of murders in Kibiti remain unanswered. His wife, Ms Anna Pinoni, said the 42-year-old vanished on November 21, after he left in a white Toyota Land Cruiser with unknown people on an "emergency trip", telling her he would return the following evening. She became alarmed after he failed to return home and all his numbers could not be reached since the day he departed. Gwanda's wife said he arrived at the farm where she was working with the 'unknown people' and communicated to her through a car window, asking for their house keys, and promised to return on the following day. But when she went back home that evening, she discovered that the house had been searched with papers strewn all over the place. The wife reported the incident at Kibiti Police Station, and case file was opened, whose number is: Kibiti/RB/1496/2017. So far no meaningful information about the whereabouts of Gwanda has come from the police. MCL Managing Director Francis Nanai issued a public statement on December 4, asking authorities to act. The company organised a press conference on December 7 to raise awareness during which it launched a media campaign with hashtags #WhereIsAzory and #BringBackAzory. "This is a democratic country. Mr Gwanda should be brought before the courts of law if he has committed any crime for justice to take its course," he said. Tanzania Editors Forum chairman Theophil Makunga said it seems there is "evil intention" in the disappearance of the journalist. "How can someone disappear for 17 days without a trace if there aren't evil intentions," he questioned. The Organisation of Journalists Against Drugs in Tanzania, Media Council of Tanzania, Media Institute of Southern Africa-Tanzania Chapter and the Union of Tanzania Press Clubs have held press conferences and issued statements to voice their concerns and demand action from the authorities. The Tanzania Human Rights Defenders Coalition, Tanzania Media Women Association, the East African Right to Information and Investigative Journalists Coalition and the Commission for Human Rights and Good Governance have also stepped up pressure for the return of the journalist. "There have been so many incidents of this kind that they are becoming normal. So, we request the Police Force to speed up investigations," CHRGG chairman Bahame Nyanduga said. Mr Gwanda's mother, Ms Eva Mpulumba, has pleaded with the authorities to intensify the search for her missing son. From Msimba Village in Kigoma Region, the mother who seems to be in her 80s, said the family was hoping to see their son alive and soon.